As Chair of the Quantity Surveying Group within the SCSI Kevin James spoke at the SCSI/PwC Construction Market Monitor 2018 Report Launch on the 03rd May in PwC. Kevin is pictured with fellow speakers, John Mulcahy Executive Chairman, Glenveagh Properties plc and Joanne P. Kelly Partner, Asset and Wealth Management, PwC. 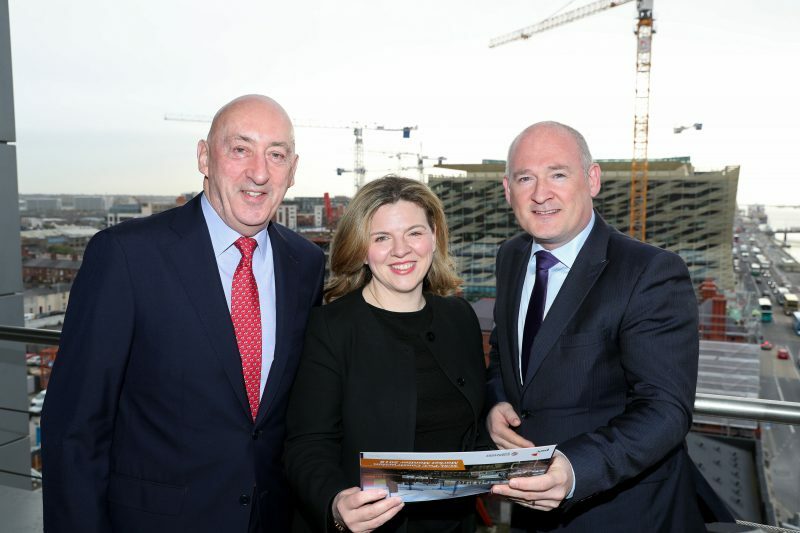 In the background you’ll see the new Landmark Central Bank Headquarters delivered by Cogent Associates.